If you have a son...then you probably have something DINOSAUR related in your home. Especially with the Jurassic Park/ Jurassic World popularity...the curiosity around dinosaurs is BIG TIME right now. 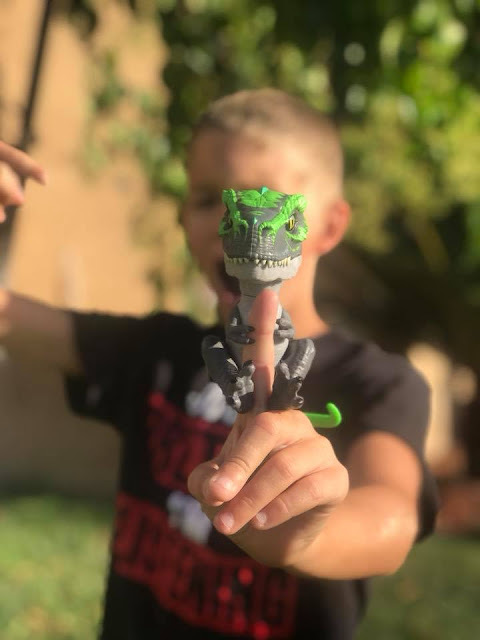 So it's only fitting that a company that launched a toy line that every kid in the US wanted for Christmas last year...has a new line (being released today on #FerociousFriday) that is targeted towards boys and their LOVE of dinosaurs. 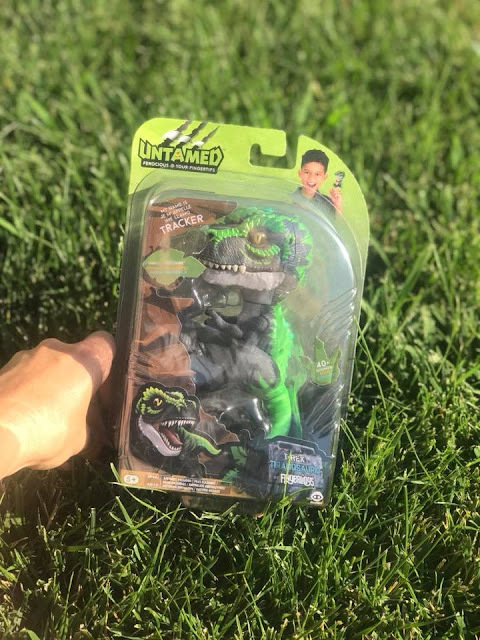 We heard a knock at our front door and we found a package with a new WOWWEE Fingerlings UNTAMED T-Rex inside. 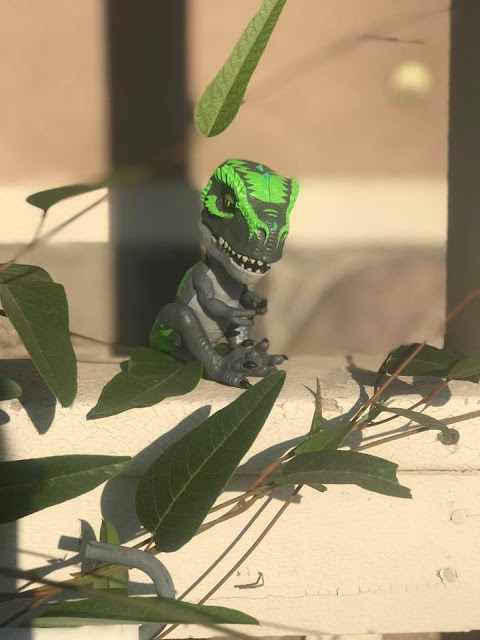 Like all WowWee products, "Razor the T-Rex" Fingerlings makes over 40 sounds, moves his jaw open/shut and will be tamed (make cute tame noises and movements) or untamed (loud roars and becomes more aggressive) depending on how you interact with him. My youngest guy was very interested and excited about this new interactive dinosaur buddy! Like all Fingerlings, Razor fits on your finger and because he's little, he's able to go with you on car rides, adventures or so much more. 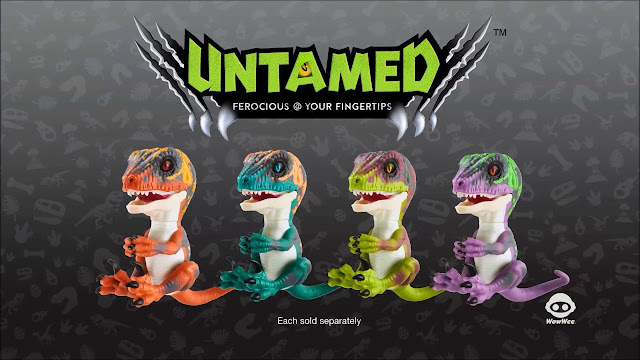 I have no doubt this new Fingerlings Untamed T-Rex is going to be on Christmas Lists this year too. 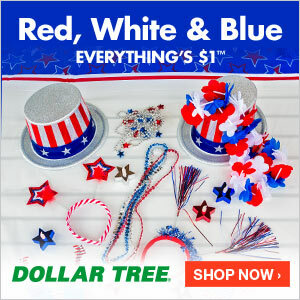 CLICK HERE to learn more about this product & where to buy it for your little Dinosaur fan.